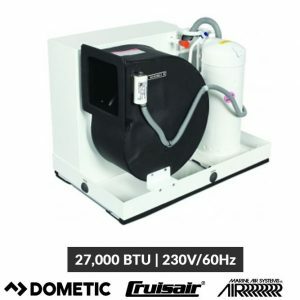 The Stowaway Compact series of self-contained marine air conditioners offers 18,000 and 27,000, and 30,000 BTU/hr of reverse-cycle cooling and heating. 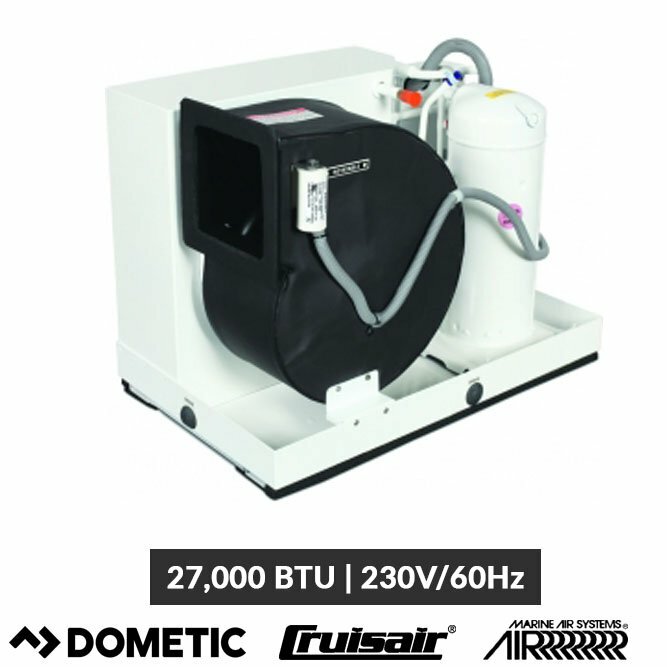 All models offer direct expansion operation in a compact, low-profile unit, with a seawater-cooled condenser and choice of controls. Stowaway Compact units are designed for installation under a settee or berth, in a locker or cabinet, or other convenient location. 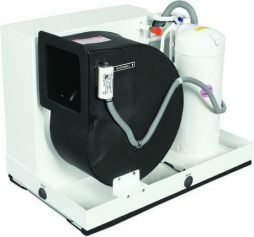 Stowaway Compact systems feature high-velocity (HV) blowers. A painted galvanized metal chassis is standard on 18K and 27K models; a stainless-steel chassis upgrade is available for enhanced durability.